I’ve finally decided which direction I want to take my car. I’ve been through many scenarios in my head. Debated on multiple different setups. I’m going to do a semi-budget 5.3 single turbo build. The goal with this build is to keep it semi-budget. I’m selling off my current setup to fund this. I’m trying not to come out of pocket with initial build. Not sure if I’ll be able to add a fuel system right off the rip. I should be able to make ~750whp with the pump and injectors I currently have. It’ll be enough to be able to work out the bugs and make sure everything is solid before turning it up to ~1000whp. Not sure how fast this build is going to move. It’s all going to depend on how fast everything sells. I don’t want to rush it. I would highly suggest that you go with a different turbo setup though. For reference my turbo is a billet 75 we think it should be good to around 950whp on a 5.3. I only have a 83x74 turbine wheel and a t4 1.10 housing. Those giant turbine wheel t6 1.32ar turbos may work on low budget/expectation auto cars where you have a converter to help you out but in a stick car i was warned to stay away. I am not referencing just VS brand but the Borgs they copy offer the same sizes and it came up in the discussion of my car/goals/setup when I was getting my turbo speced by bullseye. I have seen it happen to some local guys and it is always disappointing to see they buy what ever random turbo that is easy to buy and then they end up hating turbo cars because theirs doesnt work right. Good advice. Unfortunately, I've been out of the turbo realm for quite some time. Long enough that I am basically starting back at zero. I like to think I do my due diligence when it comes to research before I pull the trigger on anything. Of course, I can make wrong decisions from time to time. I am getting different info from my engine builder and the guy who is going to fab my turbo kit up. 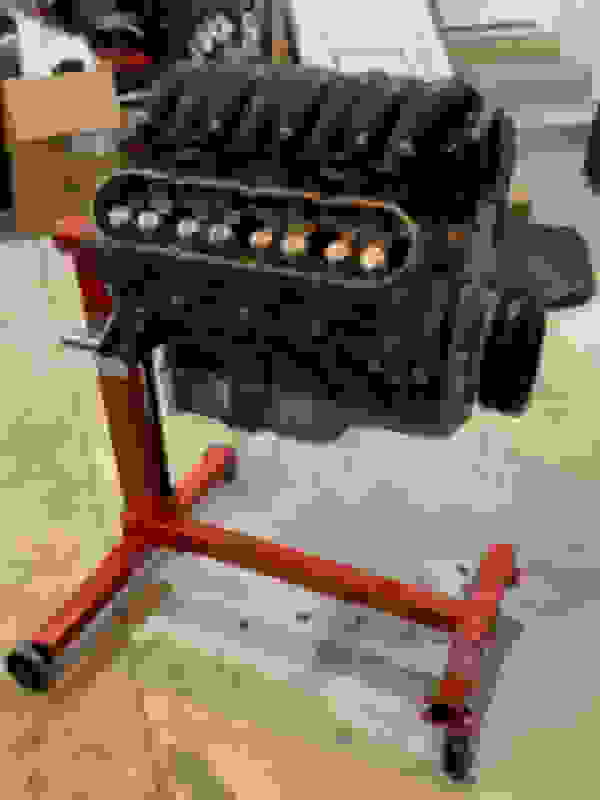 My engine builder is telling me to go with a T4 with the same turbine and a/r and my fab guy is saying to go T6. It's definitely hard to find info for manual cars. Yeah since I am not an expert on the situation either for fun I messaged my friend who used to spec turbos for customers everyday at bullseye. He said at those power levels there is no reason to go with that large of a turbine wheel/hotside on a 5.3 and that the experience will suffer. Obviously take it with a grain of salt and take info from everywhere and make the choice on what you feel comfortable with. Going with an aluminium or iron 5.3? It's going to be an aluminium 5.3. The guy that put it together has built a lot of them and they all are living at 1000+ whp. All SBE too. I plan to rev the motor to 7800 or so. I feel like I need a little larger a/r so it can breathe up top. Exact same as I picked. Maybe contact vs racing or even Jack (where i get my info) on the z06 page on facebook. I like that you picked the cortex also. I am very impressed so far with their customer service/product up to the point of using it which will be another 2 months or so before i get to test it. He also recommended a Garrett core IC over the Bell. Last edited by jayyyw; 01-22-2019 at 02:58 PM. I like the idea of borg because as a budget starting turbo you can upgrade different pieces later. Especially with such a large turbine thats the only piece you cannot modify to start and thats like 1500hp worth of turbine on a 5.3 i was told so you have unlimited space to throw larger billet compressor wheels better flowing covers ect. Call my buddy [email protected] .They know their stuff when it comes to turbos and ls motors . I'll be going with a Forced Inductions s476 HO 96x88 1.10a/r T4. comes standard with the billet wheel and race cover. Motor has been purchased. Should be picking it up later this week. Need to order the c6 wet sump pan and a wet sump balancer. Also decided to go with dual 40mm turbosmart wastegates. These came highly recommended by my fab guy. Plus, they are not too expensive. Should be plenty wastegate, with the right placement, to regulate down to 10-12psi. "Low boost" will be 750-800whp. Should be placing an order for a few things later today. I still think going with that large of a turbine wheel is going to be bad. Went out with the guy that specs my turbos last night and he uses the same size turbine as me in his c5 and right now makes just under 900 on middle ish boost. He will be making 1000-1150ish soon. Similar 5.3 setup with a 76 compressor. I guess I'll find out. Not sure if it would be worse to choose my own turbo/specs and have it perform poorly, or to listen to someone that does this daily and have it perform poorly. Lol. I'll make sure to ask again before I have him order it. Last edited by jayyyw; 01-27-2019 at 11:08 AM. Worth a shot. Make sure you set up your turbo oil drain before putting the motor in the car. Sadly we cannot use any of the cool timing cover drain fittings due to our balancer. I was planning on that. Where are you putting yours? I've seen people weld the bung on the pass side near the front of the motor. I ended up with it right here. I wish it could be more forward but the motor mount would block it/there isnt room on the pan. Paid for the turbo last night. Going with the same one. Forced Inductions BW S476 96x88 1.10a/r with the billet wheel and race cover. Engine builder told me he has the same turbo on another 5.3 making over 1200whp. Should be plenty. We shall see how it ends up spooling. Also, I'm pretty sure I will be going with the Race version of the Holley Sniper. 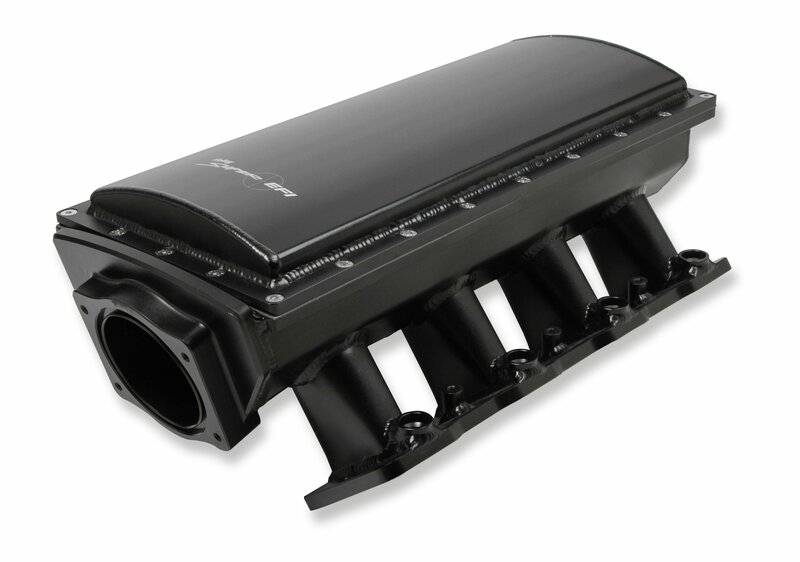 I'm also looking at the new BTR intake but the Race Sniper is higher on my list. I will have the hood vented. Last edited by jayyyw; 01-28-2019 at 09:04 AM.